I am not sure when it was decided that writing was the most important measure of English and literature skills. Yes, writing is important, and I would never suggest that English teachers stop teaching the elements of good writing. However, while not all students will do a lot of writing, they will most definitely do a lot of speaking. And what about the many bright and engaged students who may have problems with reading and writing but are exceptional at viewing and speaking. I have spent a fair bit of time over the years arguing this point so I was delighted yesterday to see an article that supported this. 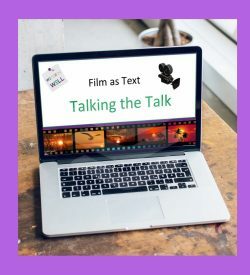 Though it is not a recent article, Why The Art of Speaking Should Be Taught Alongside Math and Literacy explores the importance of implicitly taught oral communication skills. In making ‘oracy’ a central aspect of their teaching School 21, a public school in London, supports students ‘to find their voice, express differing opinions politely, and challenge one another’s thinking.’ That this aligns perfectly to the 21stC ‘Four Cs, creativity, critical thinking, communication and collaboration is not surprising. In this new century people who can master verbal communication skills are going to be significantly better off than those who can’t. 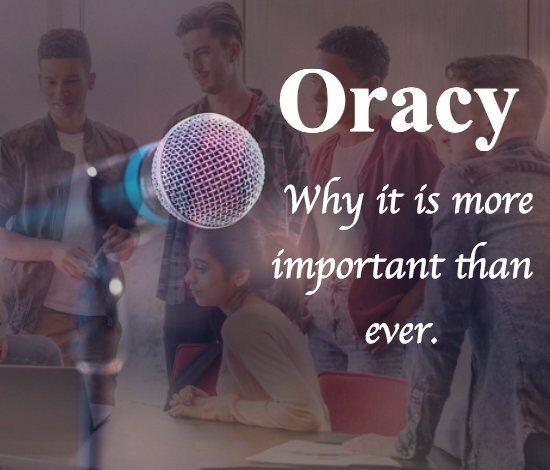 Oracy is a term coined by a British education researcher, Andrew Wilkinson, in the 1960s. Just as literacy is fluency in reading and writing oracy is fluency in speaking and listening. The ability to convey thoughts and ideas orally in a way that others understand and to understand what others say. Peter Hyman, School 21 cofounder and executive head teacher, said, “We need to elevate speaking to the same level as reading and writing.” He warns that we often assume that students already know how to challenge an idea, after all most have been doing that since they could speak. Well my children were anyway. However, they were not doing it well and Hyman argues that ‘in reality, those oral communication skills must be explicitly taught like other core skills in school.’ There is no doubt that a well-spoken, confident young person will be more successful in navigating life. 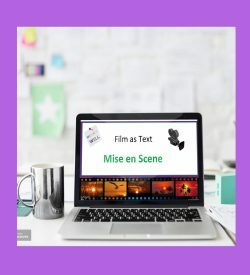 After all, as speech to text applications become increasingly accurate the ability to input good quality spoken text will further reduce the necessity of composing in writing. Our students are already engaging with new digital technologies like podcasts, vlogs and YouTube. While it is true that we all teach spoken English, it is usually a one-way communication. 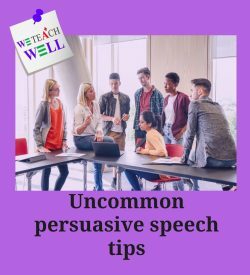 Students prepare a ‘speech’ often of the persuasive type which they stand up and deliver to the class with varying degrees of success. But, how often in real life will the students get to carry out such a one-way communication. It is far more likely that they will need to speak clearly, calmly and confidently as part of a larger conversation. Oracy, like literacy and numeracy, needs to be built into every subject and area of schooling. It is not enough to put all the responsibility for it on the shoulders of English and literature teachers. 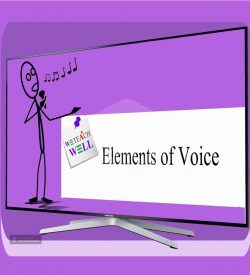 Certainly, English teachers can explicitly teach such things as persuasion and elements of voice, but it will need to be practiced across all curriculum areas if students are going to become really proficient. It is worth noting that many modern writing forms like emails and blogs actually follow the conventions of spoken English rather than those of written English. And as there is no grammar or spelling check on spoken English it is important that students learn the correct forms. Our students will be operating on a global platform and will need to be fluent. 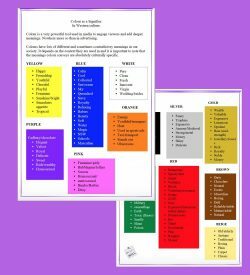 Over the years I have worked with both students and teachers to improve speaking skills and have developed a number of resources that have proven to be useful. In our shop you will find a variety of material including handouts, presentations and videos. These are available individually or as a package. At the moment we have the Teaching Oracy Well Bundle at a much reduced price. You can also find a number of ready to use free resources in the shop here. Copyright 2019 We Teach Well | Designed by Social Good Outpost.